Hand made cowboy boots – traditionally made triad style with leopard shafts. The lemonwood pegs are traditionally used to connect the sole and the insole. These pegs are carefully hand-hammered into holes cut in the leather and are more malleable than metal, as they expand and contract with moisture at almost an identical rate as leather. 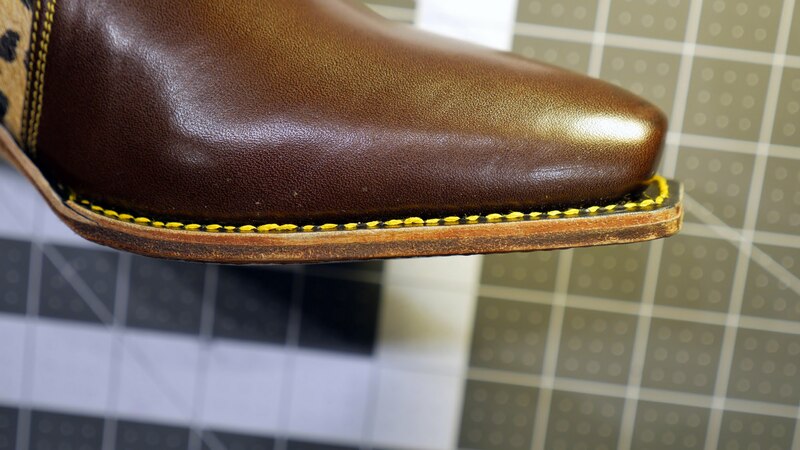 This old world bootmaking method is more effective than using a material like brass nails, which would be forced out of the outsole as it swells when exposed to water. Additionally, lemonwood pegs complete the structure of the boot by holding the insole and outsole together, maintaining the integrity of the hand-lasted instep’s fit. 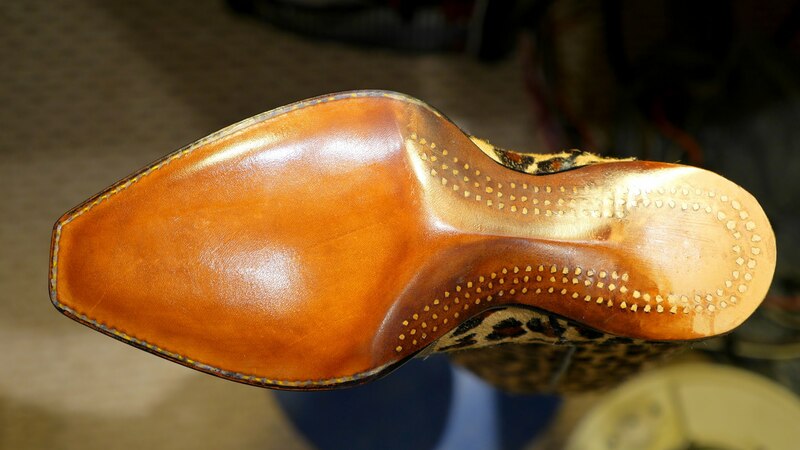 The sole is waxed with clear Yankee wax melted by hot sole-iron into the leather.